Summer break is a great time of the year for family bonding under the sunshine, but along with that comes the additional cost of entertaining the kids throughout the day. A great activity to take up an afternoon is to bring the gang to a museum. Whether you plan a day trip to a popular museum in another city or visit a local exhibit for a couple hours, check out these ideas to help you have a fun-filled day that is nice to your summer budget. Ensure that admission to the museum is reasonable before you start your humanities adventure. Depending on the popularity of the museum, along with other factors such as the day of the week and even the time of the day, the prices of a museum’s admission could fluctuate. Start with these tips to save the most on your tickets. Your city may offer local “museum days” or even “museum months” that will allow you to access participating museums for free. Some museums even offer regularly scheduled free days. For example, the Museum of Fine Arts in Boston offers Free Days throughout the year, including Memorial Day and Free Fun Friday (July 21). Check out the museum’s website or a local news website to see when free admission is available. Some museums offer discounted or free entry during specific times of the day or even for full days each week. 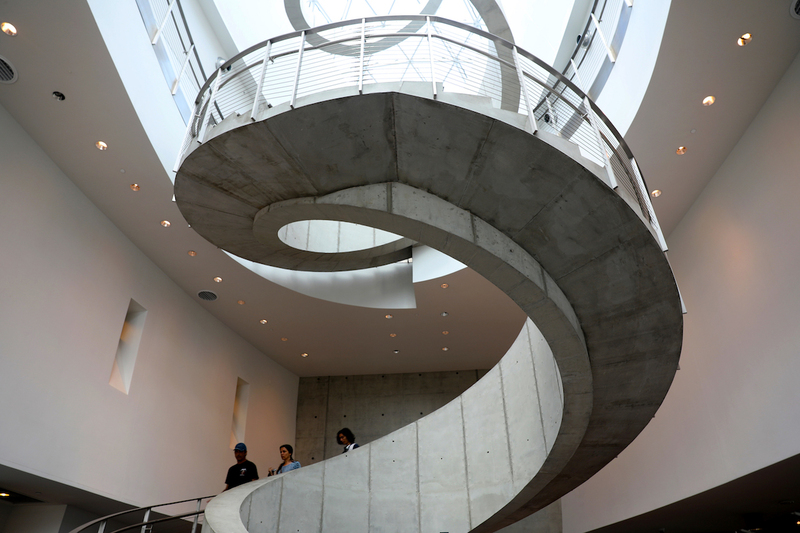 The Dali Museum in St. Petersburg, Florida, offers $10 tickets for adults, seniors and students on Thursdays (regular price is $24). See what museums in your area offer such discounts or free entry without any additional requirements. Keep in mind that while these times are often on a weekday, opportunities for a free or discounted ticket will draw more attention than usual and could result in a more crowded museum. If you are a student, senior citizen, or special club member, you will more than likely be eligible for a discount or free entry to certain museums. For example, at the famous Field Museum in Chicago, active military members enjoy free basic admission, while seniors and students receive $1 off the regular ticket price. For everyone else, stop by a visitor center or hotel to see what coupons they have available in their lobby. Visitor centers will also offer discounts to noteworthy landmarks and attractions, as well as some restaurants. The Central Florida Visitor Center offers a lot of discounts on some of Kissimmee and Orlando’s most popular attractions like LEGOLAND. Most larger cities offer an all-inclusive pass to some of the area’s most popular sites, including museums among others. You will score some deep savings by bundling and be given the opportunity to spend the day checking out everything the city has to offer. The Atlanta CityPass offers entry to five of the city’s most popular attractions for a 40% discount. What’s better is you have a total of nine days to visit each attraction. While this is great for families that are either staying in Atlanta for the night or live close enough to split the attractions into multiple trips over nine days, keep in mind that five attractions could overwhelm little ones. If you live close to a museum, and especially if it offers different exhibits regularly, it would be worth your money to get a membership there. This will typically give you unlimited access to the museum, and even some discounts at their cafe and gift shop. A Met Membership not only gives you access to all three of their museums (Fifth Avenue, Breuer and Cloisters), but also offers exclusive access to their events and exhibits throughout the year. There typically isn’t an age limit when it comes to bringing the kiddos to a museum, but there may be obstacles to cross. Keep these pointers in mind when you are trying to determine when you should plan a trip to the museum. What Museum Are You Taking Them To? The best thing to keep in mind when bringing your child is to determine which museum is right for them and how long you plan on being there. Is this a children’s museum you can spend the day at or a smaller exhibit? Most children’s museums are very interactive and will allow for a full day of entertainment, whereas an “adult” art or history museum should probably be planned for only a couple hours before your child starts the get antsy. To make sure you are getting the most out of your visit, make sure you take your children on a weekday, before lunch. Most people tend to check out a museum right around lunch (or on those free days) as a nice afternoon trip, and the museums tend to get busier as the day goes on. Make Sure There Are No Field Trips! While field trips are amazing for students, they can really cramp up a museum that already has visitors. Call the museum ahead of time to ensure there are no field trips or special events happening on the day of your visit. If you are planning on traveling a few hours, it’s especially important to take sustenance into account. Even if you aren’t traveling, adding a meal into the mix will take some planning. Many museums, like the United States Holocaust Memorial Museum in Washington, DC, allow you to bring food with you because they know you will be spending the whole day there. In addition to a lunch, pack a backpack with water and light dry snacks for your trip. If the museum does not allow food in their facilities, consider packing a cooler to keep in your trunk and head to their picnic area or a nearby park for lunch. If you have a membership with the museum, are a partner with a club or are a student, check to see if discounts are available at their cafe to save a few dollars without having to pack a lunch. For example, Museum of Fine Arts in St. Petersburg and the Petersen Museum in Los Angeles both offer a 10% discount on food with a membership. Museums tend to be very close to metropolitan areas that offer restaurants varying in prices. Take a look at the small mom-and-pop shops to get a delicious meal at a fraction of the cost. For example, if you plan to take advantage of that Atlanta CityPass, The Varsity is a popular restaurant spot in Atlanta and is considered a must when visiting the area. If the kids are along for the trip, you know they’re going to want a little something to take home. With some careful planning you can get around spending astronomical prices at the gift shop. If your children are older and you are visiting a special exhibit, then it would be wise to check out what gifts are available, as they are probably exclusive to the exhibit or the museum itself. Keep your souvenir budget in mind when finding opportunities to save on admission and food costs for your trip to the museum. The money saved on food and tickets could go straight to your souvenir budget. Provide your children with a Visa Gift Card upon arrival at the souvenir shop to place a solid limit on which gift they can select. There is also opportunity to take advantage of those visitor centers to possibly score a coupon for merchandise at a museum. One example is the Gettysburg Visitor Center, which is currently offering a coupon for $2 off merchandise at the the Lincoln Train Museum. Because these visitor centers receive coupons “at will” and the coupons and discounts provided will vary, it is wise to not budget your trip around anticipated savings from these places. Most of the souvenir shop products are available either at a department store or online for a fraction of the price. These can be purchased ahead of your visit, and when the kids ask for a gift at the museum’s gift shop, let them know that you already have a “special surprise” for them in the car. That will take the attention away from the gift shop and help them stay on track on your way out of the museum. You can even purchase a reusable bag at the gift shop and present the store-bought gifts inside the bag… they’ll never be the wiser. Taking care of a family within a budget can prove to be tasking. Keeping them entertained and enriched is another story. Take every opportunity to allow your children to explore the wonderful world of the arts, history and sciences with museums. It will prove to be the trip of a lifetime, that won’t leave you footing the bill for a lifetime. Jennifer Merrigan is a writer and editor, and the founder of NotAdulting.com, a blog that discusses trending topics and aids its readers in finding the balance between having fun and staying responsible.